People often say that our son is ‘lucky’ to have us, but they could never understand that we are the ones who are truly lucky and blessed to have him. My husband, Cody, and I had thought about adoption for a while. 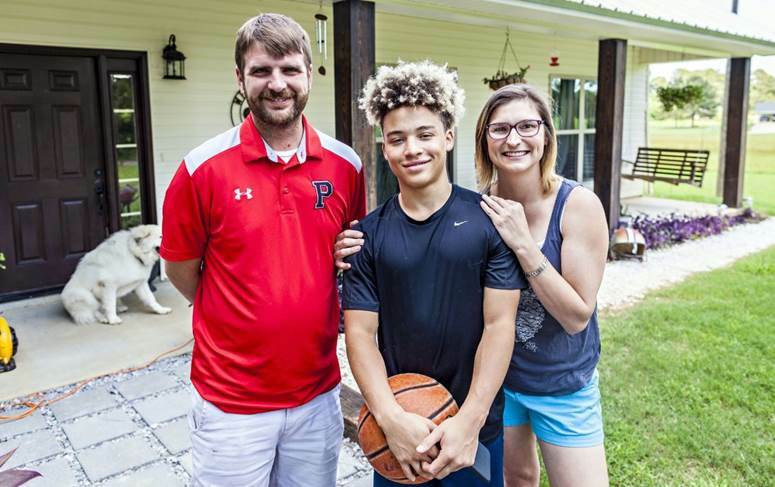 But adopting a teenager was never the plan, until it was. Cody is a middle school teacher and had a 14-year-old student named Latrell. Cody and Latrell formed a bond that extended from class to extracurricular activities. And it was during this time that Cody learned that Latrell was in foster care. Months later, I met Latrell. 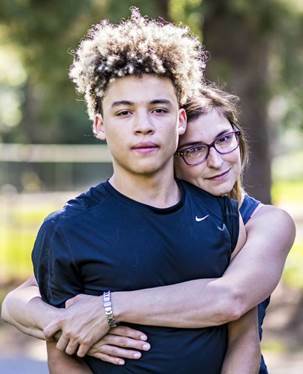 Latrell spent eight years in foster care. He needed a family. Before we finished the certification process, Latrell was moved to Monroe, Louisiana, which was about two hours away. Frustrated, but not deterred, we pressed on. We exchanged phone numbers, became Facebook friends and traveled to Monroe to take Latrell to dinner so we could see him and continue getting to know him. In October 2016, Latrell asked us if we were interested in adopting him. Prior to that, we had just been getting to know one another and hadn’t made any solid plans or promises. My heart almost burst when he asked that one question. It took a few more months, but Latrell moved into our home in February 2017. During this process, Kerri Byrd, our Wendy’s Wonderful Kids recruiter, was our guardian angel. I can’t tell you how many times I called her crying. The process was slow, and I felt like it was robbing us of time with our son. He was already 15, and we had limited time before he’d be off to college or living on his own. While Latrell was already a teenager when we met, his experiences had been so limited. It was heartbreaking at first, but we realized that it allowed us to experience a lot of the typical “firsts” with him that are often missed when an older child is adopted. We got to teach him how to drive and give him his own room for the first time in his life. We bought him his first plane ticket for his first trip out of state. We gave him his first dog, helped him secure his first job, and more. It has been an incredible journey. The biggest change for Latrell has been his grades. When he came to us, he was nearly failing. Today, he has a 3.5 GPA. He is now confident. It has been more amazing than I have the words to describe watching him blossom and develop a sense of self. To anyone considering foster care adoption, a teenager can bring out the most love and hope a person can have in their heart. We are so lucky to have met Latrell and be given the opportunity to bring him into our family. He is the light of our world, and we couldn’t imagine life without him in it. 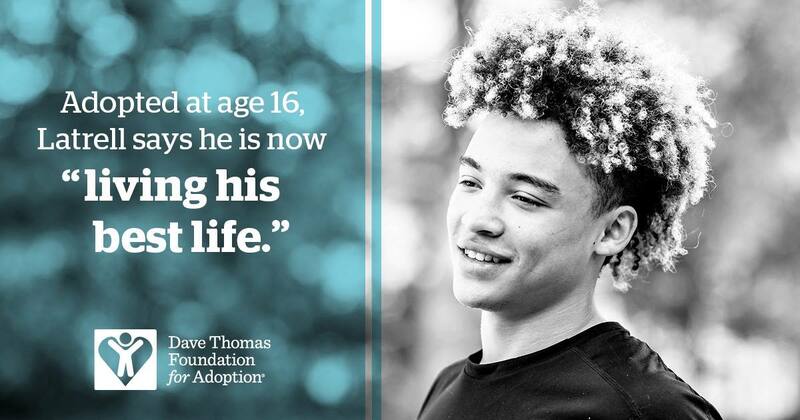 The Dave Thomas Foundation for Adoption’s Wendy’s Wonderful Kids program provides grants to adoption agencies to hire and train recruiters in our Child-Focused Recruitment Model to find loving, permanent homes for the nearly 155,000 children waiting in foster care across the United States and Canada. The model is up to three times more effective at serving youth who have been in foster care the longest. Click here to learn more. Consider supporting our mission here and giving the gift of family.